James Waters, the head of the New York Police Department's Counterterrorism Bureau, believes a terrorist attack on American soil is bound to happen eventually. He says his job is to be ready for when that happens. Waters told ABC "It's inevitable that there will be an attack or another attack in this country, but we are well-prepared to respond to that." SEE MORE: "This Is How Many Civilians Have Died In US Counterterrorism Strikes"
Waters is in charge of the city's Critical Response Command, the NYPD's standing unit of specially-trained counterterrorism officers. The unit is designed so at least 100 officers can respond to a threat at any time. ABC News visited the unit ahead of the Fourth of July weekend to learn about precautions the city is taking. 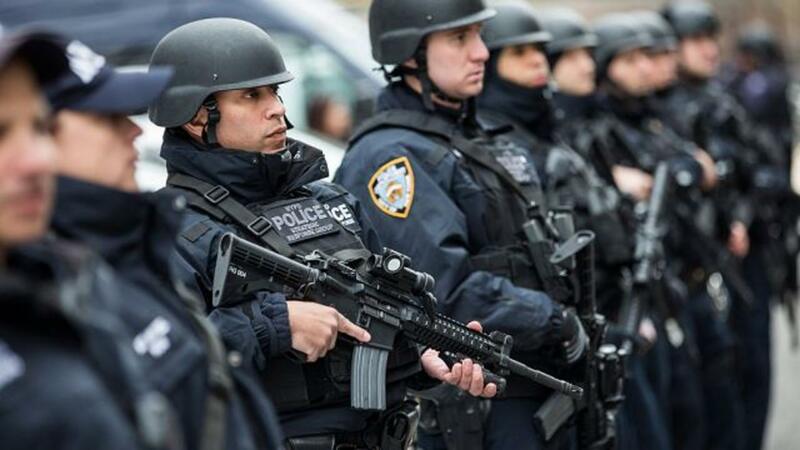 There's been no credible threats made to New York City or any other U.S. city over the holiday weekend, but the department is still in a heightened state of readiness. SEE MORE: "This Former Jihadi Is Deradicalizing ISIS Through Twitter"
As part of its operations, the NYPD monitors video from 9,000 surveillance cameras placed around the city. They also photograph 3 million license plate numbers from vehicles moving through the city every day; that data is kept on file for five years. It's an extensive surveillance web and has raised privacy concerns from some New Yorkers. Waters told ABC the system is designed to give New Yorkers the same amount of privacy they can expect in public spaces while still keeping people safe. New York City has plenty of experience with being singled out as a terrorism target. In April, a hoax "ISIS hit list" prompted the FBI to issue warnings to thousands of random New Yorkers named on the list.